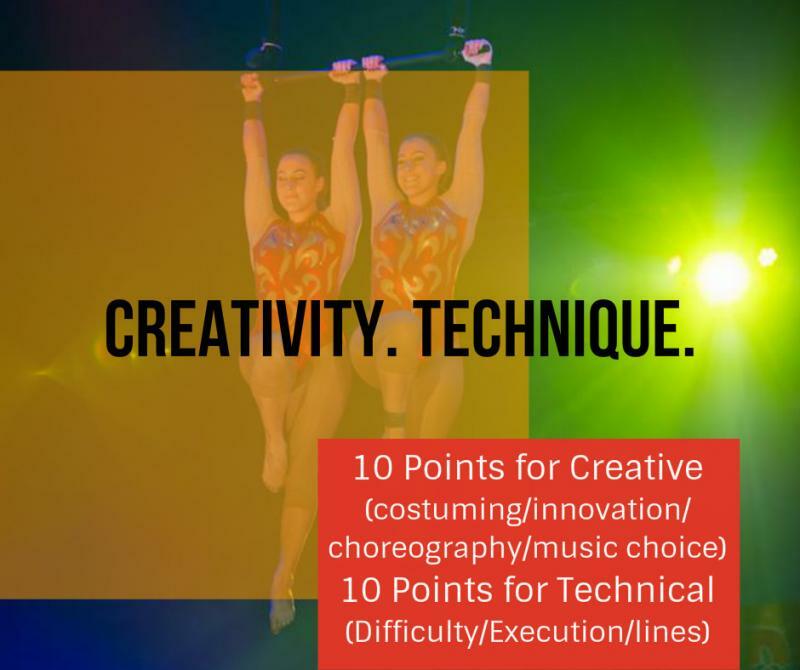 Artists will receive a score out of ten for artistry which entails costume, choreography, performance or prop innovation, costuming, music choice, audience reaction etc. Artists will also receive score out of ten for technique, which can be skill level difficulty/delivery & trick innovation. Our jury members come from a range of different backgrounds in circus (Contemporary, traditional & Variety). Our jury is made up of industry agents, producers, show directors, circus school directors and internationally reknown performers. It is normal for scoring to vary between the jury, especially the creative scoring, as this comes down to personal taste / genre preference, yet, the winners are those that have received high scores accross the panel and have been able to win over the judges of different genres with their high level performance and skill. We understand that sometimes it may be difficult when you do not get the results that you wanted out of competing, yet the competition can be a wonderful tool for personal growth as an artist. An opportunity to compare your performance to others, compare your skill level, innovativity, creativity, performance and connection to audience. Use the festival as an opportunity to graciously ask our jury panel or industry leaders who came to watch you perform about their opinion and seek constructive critism, not only praise about your act, what they liked, what they didn't like and how you can improve. A true artist never stops growing and is always seeking advice on how to improve. ﻿How to we avoid deliberate low or high scoring? The only difference with the scoring for the Professional Show, compared to the other shows, is that the Professional Show performs twice and the Festival will take the artists highest score out of both shows (Lowest score will be deleted).